Posted October 5, 2015 by William Martin & filed under Headlines. 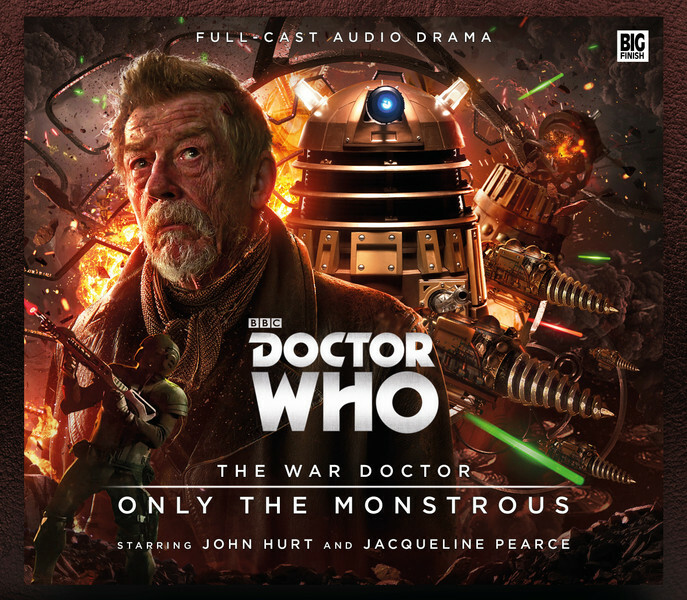 Big Finish has announced twelve new full-cast Doctor Who audio plays featuring John Hurt as The War Doctor. Hurt’s Doctor was introduced in 2013’s ‘The Name of the Doctor’ and featured alongside the Tenth and Eleventh Doctors in the 50th anniversary special, ‘The Day of the Doctor’. The audio adventures of The War Doctor will be told over four boxsets, each containing three linked hour-long episodes. The first set is entitled ‘Only The Monstrous’ and will be released in December 2015. It is written and directed by Nicholas Briggs (Doctor Who: Dark Eyes). Blake’s 7 star Jacqueline Pearce will play Time Lord Cardinal Ollistra — an arch manipulator who is waging the Time War against the Daleks. The second volume of adventures, ‘Infernal Devices’, will follow in February 2016 and is written by John Dorney, Phil Mulryne and Matt Fitton. Volume 3 and Volume 4 are currently in pre-production. A prequel boxset to the saga, titled Doctor Who: The Eighth Doctor — The Time War, will follow the early stages of the Time War from the Eighth Doctor’s perspective. 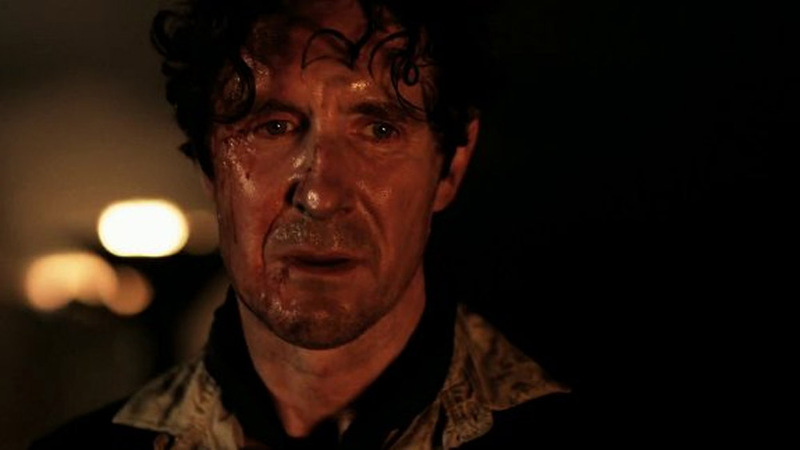 Set for release in November 2017, the set will star Paul McGann alongside characters first introduced in the War Doctor box sets. > Buy Season 9 on DVD on Amazon. > Buy Season 9 on Blu-ray on Amazon. Season 9 continues next Saturday on BBC One with ‘Before the Flood’. > Here’s everything we know about Season 9 so far. The War Doctor is one of my favourite incarnations of the Doctor. More adventures with him? Yes please! As BF treads into a much darker territory than the TV programme does this will be the ideal medium for us to explore the darker aspects of the Time War as suggested in the excellent “Engines Of War”. Plus the prospect of hearing voice of Sir John Hurt again as the War Doctor is already whetting my jaded appetite. It’s also good to hear that the 8th Doctor is getting some proper Time War stories so we can hear what experiences drove him to choose “Warrior”. Doctor Who and Servalan! A match made in heaven – or should that be hell? Hear, hear! More 8th Doctor from Big Finish and please BBC, get a TV series going for him, even if it is just web episodes like Night of the Doctor! More 8th Doctor and more War Doctor, plus Jacqueline Pearce. Just take my money now. This is a far bigger and more important announcement than Class or even the return of Donna and 10 for BF. TBH, I have preferred BF to the main show for a while, although I do like Peter Capaldi and only starting rewatching recently, mainly because I couldn’t stand 10 and 11 as they were too similar and too juvenile. War is probably my favourite doctor, only behind Peter C and Paul and then simply because we are only at the beginning of his story. 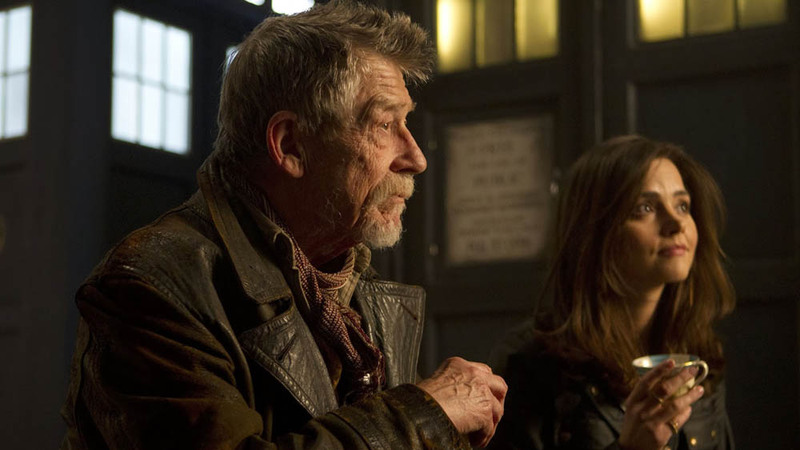 John Hurt easily out acted Matt and David in Day of the Doctor and made me yearn for a proper older doctor with real presence, rather than the silly teenage girl friendly models we had been lumped with to date. So pleased BF has got him. Sir Derek Jacobi has worked with Big Finish before. They need to get him and John Hurt in a room together for a new Master/Doctor dynamic. I don’t care if it breaks continuity, it’s too good not to happen! How amazing would a spin of show about the time war and the war doctor be!